The hot topic across the world of table tennis right now and for previous months is all concerned with the form of grand slam champion Zhang Jike. His form dropped at this year's WTTC where he lost to Fang Bo in the semifinal stage and has continued to decline ever since. During this time, Jike has experienced multiple injuries and issues with his body and his form. Zhang Jike's contract dispute with Shandong Luneng was a big factor on his worsened performance in matches, the Chinese star was absent from competition for many weeks after his club refused to give him a contract until he competed. Jike was less than cooperative and required a contract prior to playing, rightly so. This absence from competitive matchplay seemed to take its toll on him as he began to slump in form on the ITTF World Tour. The first loss on the World Tour came in Chengdu at the ITTF World Tour China Open where Zhang played a less than inspiring match against Taipei's Chuang Chih-Yuan. The grand slam winner exited the tournament earlier than expected and appeared, much like his match with Fang Bo, much more passive than we have seen in previous engagements. Later in the year we witnessed a double loss, losing in the teams and individuals of the Asian Championships to Korea's Jang Woojin. This was amid much controversy during and after the match. Fast Forward a couple of months and Zhang Jike experienced his first major upset at the hands of Austria's Stefan Fegerl. It is not often European players can boast to have stolen a result from the reigning Olympic Champion, alarm bells started to ring. 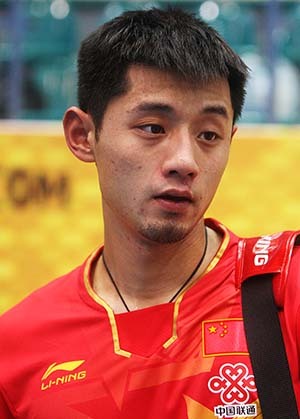 In a post-match interview Zhang Jike admitted that he was not in form and that he certainly wasn't at his worst yet. It seems he spoke too soon, just a few days ago suffering another upset loss at the hands of Sweden's Jens Lundqvist. These are all shock losses for Jike who, despite focusing on major events, still maintained a reliable record on the ITTF World Tour. In 2011 we saw Ma Lin suffer 3 major losses on the world tour at the hands of European players. First Alexey Liventsov, outside the top 100 in the world at the time, had victory. Weeks later it was France's Quentin Robinot (also outside top 100 at the time) who unseated the 2008 Olympic Champion. To top it all off, Liventsov's teammate came in for the remains, it was Kirill Skachkov who became the 3rd player in months to defeat the Chinese powerhouse. Questions were raised, was this the end of Ma Lin's career? I'll admit I was one of the skeptics with my article: End of the Road for Ma Lin? As we saw, Ma Lin returned to reasonable form and came back to conquering his rivals from otuside of China. This is not the end of Zhang Jike, the 2016 Olympics is too important for him to not find a resolution to his current form. Come the beginning of 2016 I believe we will see a refocused and driven athlete before us again as he continues his quest to become the first player to claim 2 Grand Slams. No matter how he has played in minor events, losing to the likes of Chen Chien-An and Taku Takakiwa among other Asian players, he has still risen to the occasion when it has counted he most. Zhang Jike will need to prove himself to the Chinese National Team soon, or his Olympic dream may face jeopardy. How Do We Create a New Generation Waldner? Waldner remains to be one of the most influential names in the sport of table tennis. The Swedish Grand Slam master is the only non-chinese player to achieve the multi-title feat and has achieved a legendary status which has arguably been matched by no other in terms of the fact that he is such a talent at the sport that he is often compared to Mozart as he turned table tennis into a fine art. J.O Waldner is such a standout that no European player can rise from beneath his shadow, only China have risen to the occasion to start contesting his legacy. So what would it take in this generation to create a modern day Jan-Ove Waldner? The numbers problem has been a commonly raised debate topic in table tennis, China have a greater number of players and therefore they can source more top level and talented athletes. The population of China currently stands at 1.4 billion people, that is roughly 20% of the global population. So what really needs to occur? We need to unify. If we really want to find and nurture the talent from a pool to match the population advantage of China, we need to combine resources and scour the globe for talent and support the best potentials to develop opportunities for careers in table tennis. Find the talent and offer an incentive and a future. An international training academy for the best prospects from around the world would greatly benefit the cause. Waldner visited China on a number of occasions to practice and admits it played an instrumental role in developing his strong service game early on in his career. We see players now like Omar Assar and Dimitrij Ovtcharov making China a central location for periods of training time and the positive effects that it is having on their game. 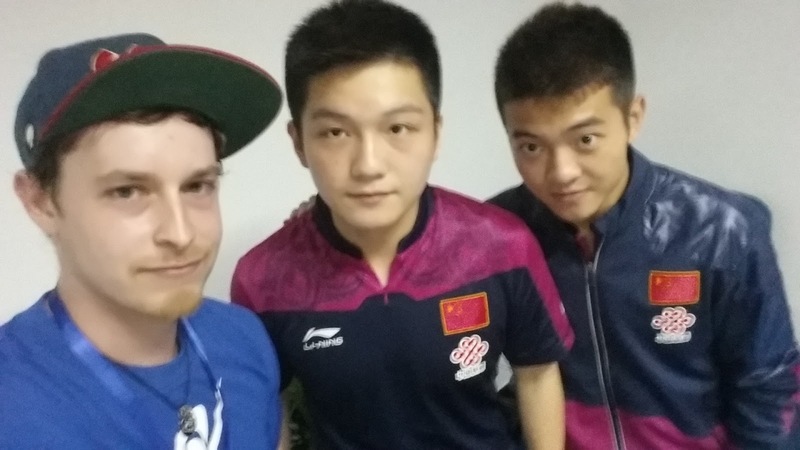 Being immersed in the Chinese culture allows the players to see how their opposition are being raised, how they train from a young age and how they continue to develop. Bringing players in for the Chinese Super League has also presented a big opportunity for players to continue to develop their skills against the best players in the world's best nation. Elements of this can also backfire as these players are under constant analysis by high ranking coaches and competing players. Waldner has an incredible amount of knowledge and is considered a student of the game, along with other highly respected coaches like Richard Prause and players like Jorgen Persson and Werner Schlager. J.O needs to be given the incentive to produce a true champion, if he were to be able to choose one single student and focus everything on making them the best in the world, would he be able to succeed? In all likelyhood it would probably cost a fortune to get the man himself to invest his time in that kind of project. Now we see Ovtcharov has Persson on board in the build up to the Olympics and has successfully reached a peak world ranking of number 4 this month. What can the legends of yesterday offer us today? After their playing careers in China, many of the highest level players become involved in the sport as coaches and administrators and this makes a big difference in layering their system to great success. The Hopes Team (under 12) have a training camp each year for the top 4-5 geographically diversified member of the team, these players train to compete at the World Cadet Challenge. Why should we not form a training opportunity and tour event for a world table tennis team each year? Bring the best 5-10 players in the world (and sponsor them) and have them do a tour including exhibition matches with the Chinese Team, the Korean Team, Japanese team etc. They could train in multiple countries at the world's top training centres and as a result the best players to potentially be the next China Destroyers would improve together. The Ongoing Vendetta, Why Do We Need Another Waldner? It's simple. We need to end Chinese dominance in table tennis for the future of the sport. It would be exciting to have a player rise up and consistently dominate a team that has been the best for over a decade, the world would rally behind that player. We have changed the scoring system, changed the ball size and material, changed service rules and speed glue rules. We have slowed the game down for entertainment but also on a side project there were moves to end Chinese dominance, moves which have no succeeded and have potentially increased the gap. With the new ball physicality is a huge advantage, would a new age Waldner be as effective? Possibly not. All I know is that it has been over a decade since we saw a non-chinese World Champion and the days of Chinese dominance just string on and on! What do you think of this topic? As you may or may not know I recently travelled home to New Zealand with a one month stopover for training in China on my way (read more here). I had to adjust back to the celluloid ball for the major events I was about to partake in. The training day in and day out continued through phases of average health but I persevered. I played 4 regional tournaments to warm up and made 2 semifinals and a final. I went on to tie for 2nd place in the national team trial (3 players qualified) and come 4th on countback by one set. I made the top 16 in the New Zealand Open men's singles, only losing to the number 1 player in New Zealand (who has never lost to a NZ player in 4 years) and a member of the Korean Army Team. Finally after a month of waiting I received the good news that I have been selected in the 4th spot in the national team to play Oceania Championships and World Team Championships in 2016. In order to finance my goals I have partnered up with tabletennis11 and by using my affiliate link you can help support my continuing efforts to live and breathe table tennis in 2016. I promise to repeat my efforts from China Open by giving you the best on the ground coverage from the events and I will be meeting up with many great players to hopefully provide great content. 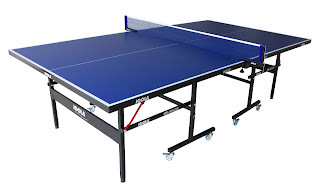 The holidays are upon us, and those of you who are looking for a new table tennis table are eagerly awaiting the sweet discounts that soon follow. But even with the big discounts, tables can still be pretty expensive. Therefore, we’re going to show you the most important characteristics that you should focus on when comparing ping-pong tables. What’s The Most Important Characteristic? First and most important: surface thickness. The table’s surface is the most important aspect to consider because it has the greatest affect on the ball, and subsequently the game. Throughout your shopping for an indoor table, you will notice a surface thickness ranging from around 5/8 inch to 1 inch, and a price range from about $400 to $2000. The thicker the surface, the higher the price. Don’t let the small add-ons and miscellaneous extras distract you from this most important attribute! Do you really need four-inch locking caster wheels on an indoor table? I doubt it. While surface thickness is still the most important part of the table, making sure your table can withstand the weather is key when considering an outdoor table. That’s why these tables are manufactured with a material that specifically combats glare and warping, and are designed to be weather resistant. Keep in mind, however, that this additional surface treatment results in a bit higher cost. You can find outdoor tables of decently quality generally ranging from to $500-$3000. Second: The second most important characteristic will vary depending upon who is going to be using your table. Do you have small children? If so, if might be a good idea to get a table with locking wheels for extra safety and a large chassis to prevent the frame from bending. (Kids love to sit on ping pong tables.) Do you have a hard time finding a decent opponent? Then maybe the play-back feature is an important attribute that you need to have. Maybe you don’t want to assemble it and want the table to arrive assembled. The point is, while the surface thickness will undecidedly affect game-play, other characteristics may be more important to a particular player. You must decide what's best for you! 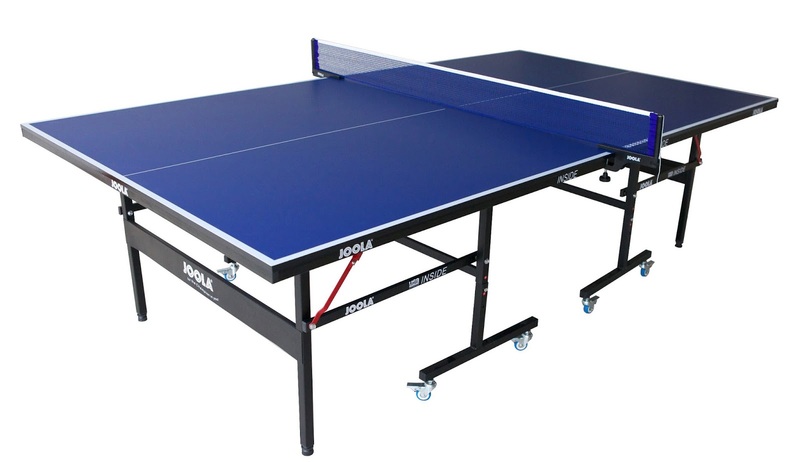 Compare table tennis tables with this GIANT comparison chart. Third: The ball. You might be thinking, I thought this was about tables? But it is. Even with a professional table, if you’re playing with a low-quality ball the game-play will be negatively affected. I know you have picked up one of those cheap Ping Pong balls at the neighborhood pool or Rec Center, and after a few rallies threw the ball down in disgust. But you don't need to bother with discount balls: a 6-pack of high quality balls is less than $10. While the surface thickness is undecidedly the most important characteristic for the majority of people, your table choice should take into consideration your lifestyle. Perhaps you have a small child who you fear will lose interest after a short while... it might be smart to reconsider ordering that $1500 Olympic gold-plated table tennis table.